Maroon 5 played repeatedly in the car of our VW Convertible, as we whizzed along the highways of southern California, soaking up the rays and enjoying the sunshine beaches. The year was 2013 and whilst our New Zealand friends, in Wellington, were battling the wild winds of winter, we were basking in an endless summer. 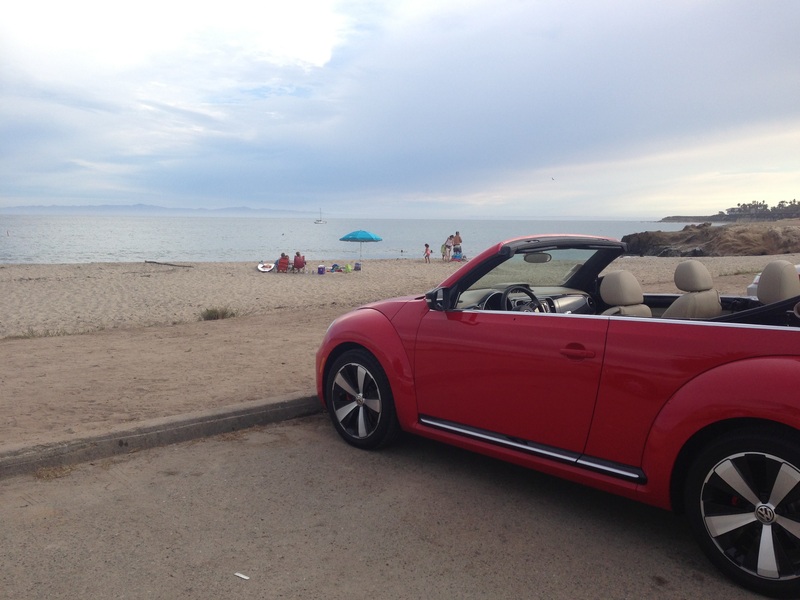 When our fifteen months of Californian living came to a close, in October 2014, we returned home to Wellington, leaving our VW convertible in the sunshine state. We timed our return to New Zealand for early spring. Summer beckoned and we slowly readjusted to the ‘four seasons in one day’, unpredictable nature of weather in Wellington. 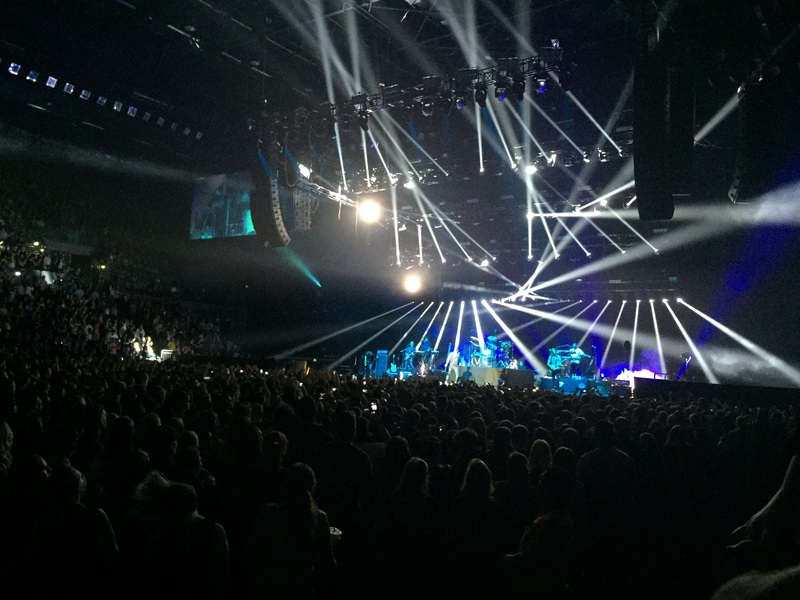 Come the 2015 New Year we heard Maroon 5 were touring Asia and would be visiting Christchurch and Auckland, in New Zealand. The memories of that endless summer and rocking in the car (mostly on the way to Disneyland, Universal Studios, Six Flags or Santa Monica beach) came flooding back. 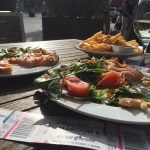 Our oldest daughter was due to turn 12 at the end of June and with Maroon 5 hitting Auckland at the beginning of October the timing seemed perfect for her very first rock concert. Hubby and I are both fans, but someone had to stay home and look after Miss 5 and Miss 9 (though they would have loved to have gone to the concert – given half the chance!). Hubby surprised me, out of the blue, just before Miss 11 turned 12, telling me he’d booked flights to Auckland to see Maroon 5! I was absolutely blown away with excitement and anticipation! 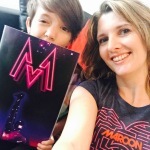 Over the next few months Miss 12 and I revisited our favourite Maroon 5 songs. Concert weekend arrived. 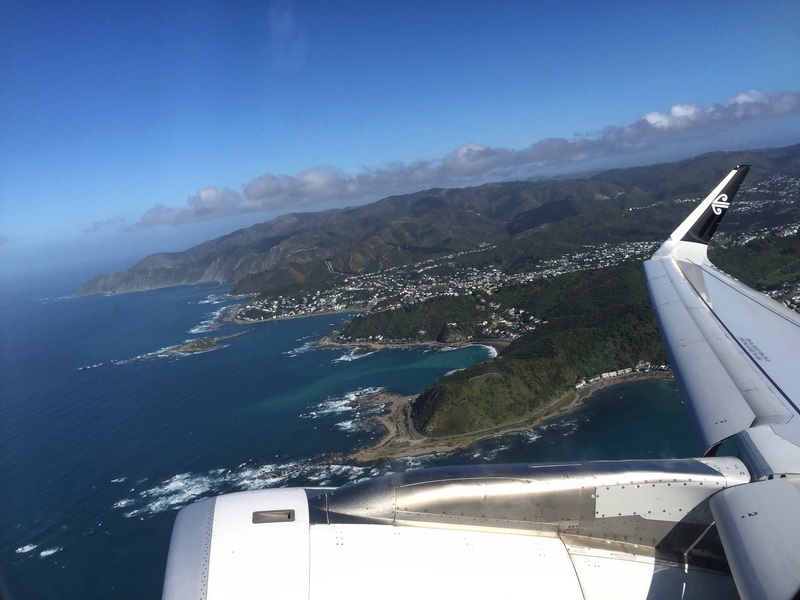 Miss 12 and I were dropped off at Wellington Airport, aka ‘The Middle of Middle Earth’, and boarded our first flight ‘one-on-one’. We had a beautiful day for flying and a great view of Wellington city as we soared up in the sky on our way to Auckland. We arrived around lunchtime and caught a cab (shockingly expensive – should have hired a car for the two days or got a bus or train… knowledge for next time!) to our hotel – which was minutes away from the Vector Area, in central Auckland, where Maroon 5 would be performing later that night! Eek! The afternoon was spent meandering along Queens Street and enjoying a little mother and oldest daughter, one-on-one, shopping (had to be done!). We couldn’t wait for the concert to start and took a stroll to the venue around five o’clock to check out the scene. There were people gathered in wait for the best position in the ‘general admission’ (aka ‘mosh pit’), but we had seats – so didn’t need to line up early. We dined on some scrumptious food at the arena cafe/bar/restaurant and then took a walk back to the hotel, with our Maroon 5 V tour ‘bling’. When the support acts kicked off, at 7pm, we were ready. 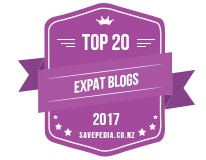 We enjoyed hearing, Australian, Conrad Sewell first and then ‘Dirty Loops’, a Swedish trio. 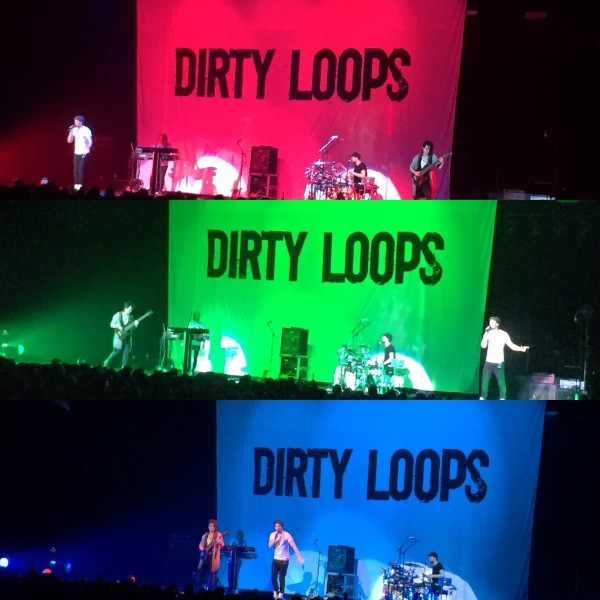 We cracked up at the name of this band (which we ended up quite enjoying) and my daughter texted her friend to keep her up to date – with ‘live action news broadcasting’ to say that the ‘Dirty Loops’ weren’t actually that ‘dirty’! She also caught a forty something chap in the stand opposite us getting into the groove and enthusing the crown, well before Maroon 5 hit the stage, which in true 2015 style shared a clip of on Instagram! I was glad we had front row seats so close to the stage – I felt close enough to get really into the concert – but also take a rest if my forty-something self needed to – HA! In the end, the people all around us were totally into the groove and barely used the seats they’d paid for. We stood up for most of the time Maroon 5 performed and seriously got into the music (much to my 12 year old daughter’s amusement; watching her Mum head banging and hair swishing!!). The atmosphere was incredible and the sound fantastic (and I didn’t need to use my ear -plugs… yes, I did put some in my granny bag, just in case!). Prior to Maroon 5 I really enjoyed hearing Conrad Sewell sing. 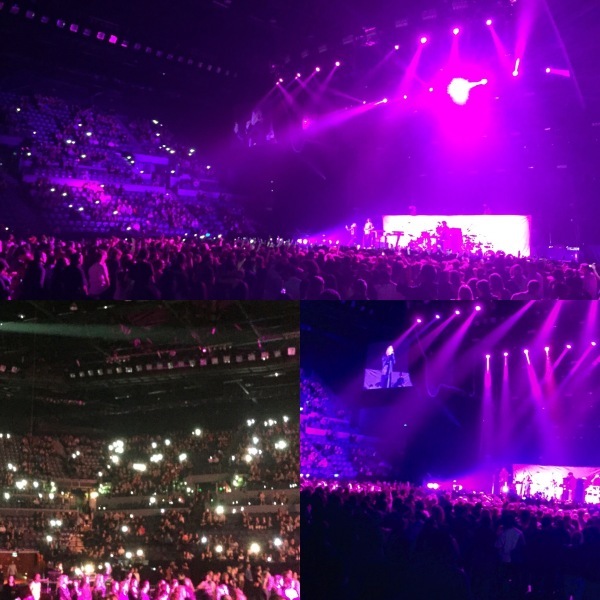 There were a couple of heart touching songs that got everyone turning on the flashlights on their phones and swaying in time to the music (a new experience for me at a rock concert – used to be lighters in my day, hee, hee!). I really loved sharing the whole experience with my daughter. I haven’t seen many rock concerts in my life and one-0n-0ne time with my oldest daughter is very special to me (and rare). I loved watching her face and seeing her get into the groove, as Maroon 5 performed. Seeing a rock band live is incomparable to listening to them on a home stereo, or even cruising the highways of California – though that’s a pretty swell vibe – especially in a red hot VW convertible! Hearing the drummer let rip on an improv. solo, the guitarist have an instrumental spotlight and the main man, Adam Levine, electrify the crowd with his vocals was spine tingling. There were magical moments of crowd participation, as everyone sang along together, illuminated under spectacular laser lighting. The concert left my daughter and I feeling happy and floating away on a rocking high (cliche much!). We watched till the final moments, after the encore and the lights ceased to illuminate the stage. I was impressed with my daughter’s stamina and, beyond a doubt, she was definitely read for her first rock concert! We strolled back to our hotel, buzzing. The next morning, with our return flight not until 3pm in the afternoon, my daughter suggested we visit the amusement park of ‘Rainbows End’. It took her half an hour to persuade me and in the end, given that it’s so rare we share one-on-one time together, I could find no reason to say no… Normally I have my five year old in tow, as my excuse to avoid the scary rides… but not this time! I actually ended up having a great laugh and really enjoying the rides (thankfully my stomach wasn’t too flummoxed!). We headed off to the airport soon after lunch and enjoyed a fair weather flight before landing in Wellington. An amazing, whirlwind, night away with my oldest daughter. 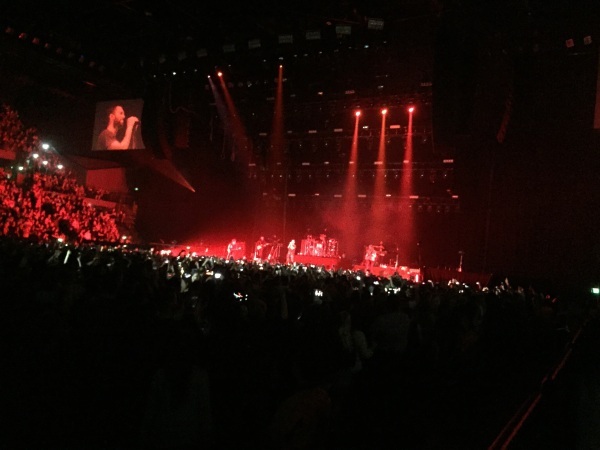 Maroon 5 at the Vector Arena was definitely the best first rock concert experience I could have wished for, for my 12 year old daughter. Next time they visit NZ, it’s hubby’s turn. 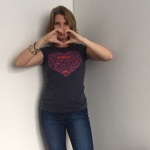 Thanks Maroon 5 (and thanks hubby!). 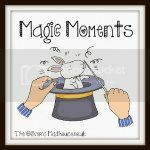 Charlotte, Life in action - Videos, Sarah Auckland, concert, magic moments, Maroon 5, mother and daughter, trip away. permalink.